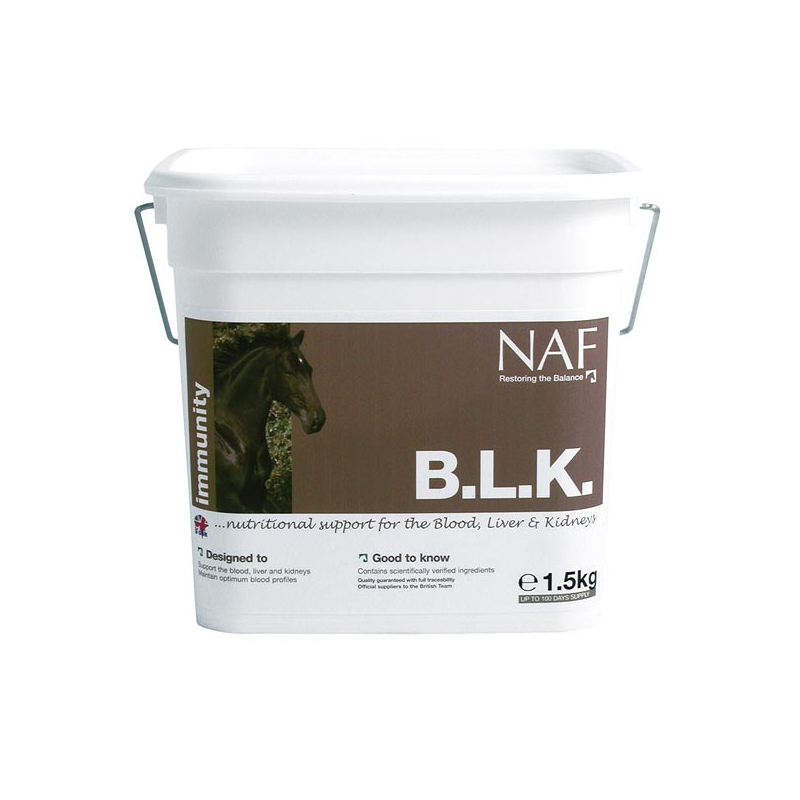 NAF B.L.K (Blood, Liver & Kidney), has been formulated to help nutritionally support your horse. It contains milk thistle, which is known for liver support, as well as a number of antioxidants, including Brewers Yeast, Dandelion, MSM, Licorice. Feed a loading rate initially, for the first 7-10 days, then lower to a maintenance rate. A 1.5kg tub, fed at 15g per day, will last for 100 days. A 500g tub, fed at 15g per day, will last for approximately 33 days.